The Vrancea seismic region represents a unique case of well-defined and intense intermediate-depth earthquake activity as a consequence of specific geodynamic processes at the continental contact between East-European, Moesian and Intra-Alpine plates. Apart the subcrustal earthquakes generated in the Vrancea slab, the analysis of seismicity puts into evidence two other clusters of subcrustal earthquakes (h > 50 km) toward the back-arc side of the SE Carpathians bend, one to the west (Sinaia), the other to the north-west (Braşov Depression) relative to the Vrancea seismic source. The hypocenters lay down between 50 to 105 km in Sinaia and between 50 and 136 km in Brasov Depression. The rate of seismic energy release is much lower (Mw ≤ 3.7 in Sinaia and Mw ≤ 3.1 in Braşov Depression) than for Vrancea activity. The seismicity pattern in the SE Carpathians back-arc region upper mantle correlates well with the high-velocity structures depicted by seismic tomography investigations suggesting possible remnant deep lithospheric roots apart from the narrow well-defined slab generating Vrancea major earthquakes. 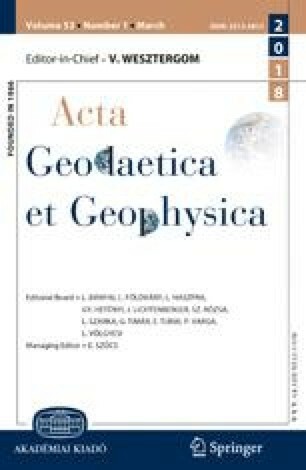 The results outline significant lateral heterogeneities in the mantle and provide new data for incorporating seismological, geotectonic and volcanological data in a unified modeling of the complex processes taking place in the study region.